You may already be familiar with Brother Give Us a Word, the daily email devotions from the monks of the Society of St. John the Evangelist. During the season of Advent, these devotionals become #AdventWord. 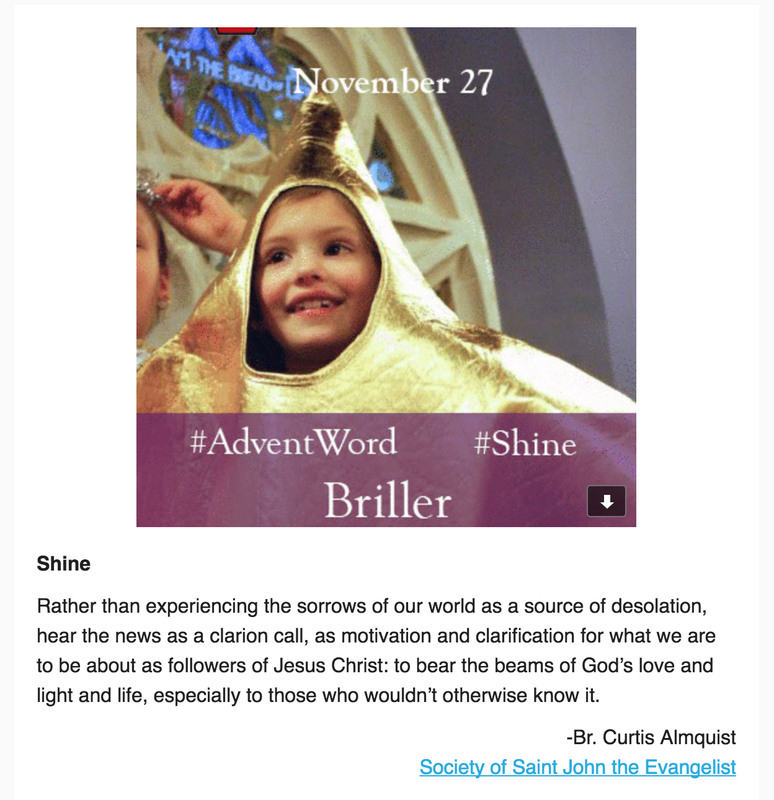 It’s a simple idea: sign up and receive a free daily email, which includes an image and a short devotional written by the brothers of SSJE. Read the short devotion, pray or ponder the words and the image, then take #AdventWord one step further. #Adventword readers have the option of snapping their own pictures and contributing these images to the project. The result becomes a “global Advent calendar,” a visual tapestry of pictures shared from countries around the world. Check out the composite page for November 27: #shine. As we join in prayer with Christians from around the world, we prepare with joyful anticipation for the coming of Christ. We look forward to seeing your #adventwords! For more information on sharing your #adventword, or using the global Advent calendar as a study/prayer group, visit the Anglican Communion’s Adventword page and scroll down.